10 piece set of plastic cuticle pushers. Dual sided tips make this a great reusable multitasker. 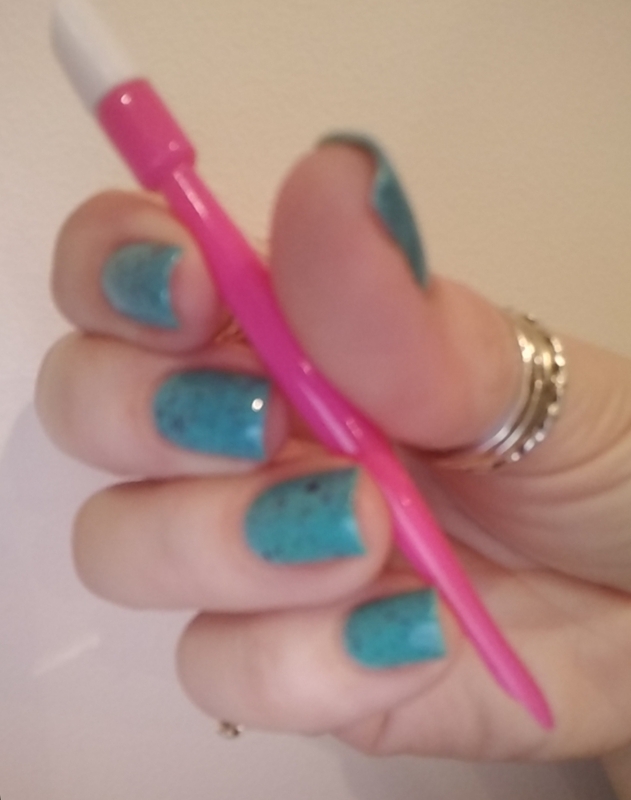 A hard rubber tip on one side to push back your cuticles and then a pointed, hard plastic tip to clean/scrap under your nails or around your cuticle edge. The handle has a beveled shape to make holding this tool more comfortable with less hand cramps. Save a tree while working on your manicure. Dual tipped for cuticle pushing and cleaning. Ergonomic beveled handle makes manicure work pain free! Most useful tool. Hands down the best cuticle pusher I've used in many years. I use this thing ALL the time. Every new mani, when I do my cuticle cleaning routine, this is the best tool for that job. Hands down. I use the pusher end to push them back. Then the hook end is perfect to clean/scrape away the dead tissue after removal cream does it's thing. Also, the hooked end is perfect for getting under the nails if you need to clean them out too. It's small, but firm, and thin enough to work well but not be bulky or irritating under the nail OR on the cuticle. 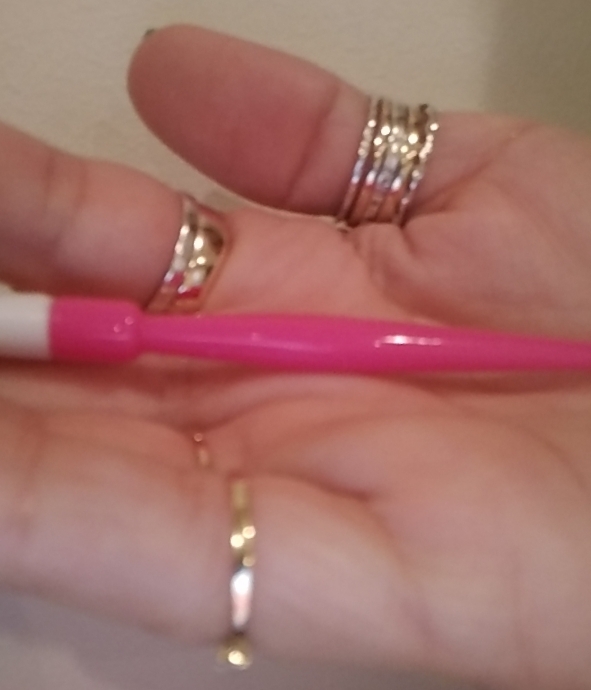 Great size for cleanup and easily navigating all the little crevaces of the nail! I absolutely love these cuticle pushers and their overall size and their function. I have recommended them to others. I've used them consistently for well over a year now, since I discovered them. They are by far my favorite pusher that I've seen or used. I just bought a couple extras. The hook end is really the golden ticket with this one!! And I personally like that the pusher end is a firm plastic/silicone (not sure what it's made of) material rather than a softer one. Firmer materials actually push the cuticles more easily, and this one works well but also doesn't hurt either. So, all in all, this is actually one of my favorite Maniology products. It's my most used tool. Aside from cleanup brushes. This is a necessary and not optional tool for me now. I have many things that I use frequently. But most of them are items that I have a bunch of different ones that I use and switch it up/rotate (eg: cleanup brushes...I have many and use all of them sometimes). But with these, I have a few of them, and I don't rotate them like I do with other tools/products. I consistently use this specific item for my routine cuticle care. This, and one other item once and a while when I need a little extra cuticle removal. I HIGHLY recommend these for anyone wanting to have a great tool for cuticle maintenance. I would honestly give this item a 10 out of 5. I love it that much! i havent been able to find these at any regular store, so i was excited that they were available here. the fact that you get 10 for a great price made my day. i love these. 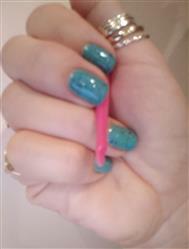 So much easier of my cuticle than an orange stick, and the other end is able to clean up and get under nails easier to. I love it!